49,366 points, 2,268 Portals, 791 links, 308 shards, 238 fields, 13 cities, 2 days – The Obsidian anomaly series goes to the Enlightened! We kicked off Obsidian with a 20 hour live blog covering all of the events of the day, watching all the shard movements and cluster battles as they happened. The Live Blog will be back in the next anomaly series. The Enlightened started the day off very strong winning Hamamatsu by 4,382 points with all 16 shards captured. All 16 shards and 8 targets in Hamamatsu were released all at once 1 hours before the first cluster measurement. The Enlightened managed to captured the final shard 40 minutes before the final jump. In Rio de Janeiro, there was 4 phases of 9 shards, starting with 4 targets and 2 targets appearing 30 minutes before the last jump. The Enlightened started off in the lead keeping 1 shard ahead of the opposition until phase 3 when the Resistance took the lead and ran home with it to score two thirds of all the shards. In Seattle, there was 4 phases of 18 shards and 5 phases of 2 targets per team. The Resistance scored the first shard but in phase 2 the Enlightened stormed ahead to capture 58 shards to the Resistance’s 12 leaving 2 shards uncaptured. Day 2 began in Hong Kong with the Resistance desperate to make up for the losses from day 1. There were a total of 52 shards worth 100 points each appearing across 4 phases and 8 targets per faction manifesting in five phases. 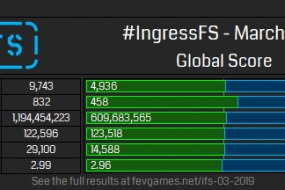 With 42 shards to 3, the Resistance took the Enlightened’s lead from 5,765 points down to 1,865. In Colombo, the Resistance won the first measurement but weren’t able to hold control with the Enlightened earning more than 100 points for each of the remaining measurements to win by 86 points and bring the series total to E: 16,498 – R: 14,447. In Vienna, the Resistance continued their push to take back the series lead. 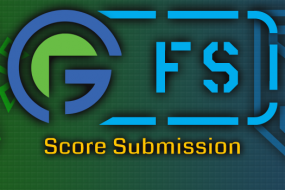 There were 80 shards worth 65 pts each and 10 targets that manifested across the anomaly site. The Resistance captured and an astonishing 56 shards to the Enlightened’s 5 leaving 19 uncaptured making the series total E: 16,823 – R: 18,087. In Orlando, there were a total of 52 shards worth 100 points each and 8 targets per faction. The Enlightened didn’t give the Resistance much chance to capture many of the shards with the final score being E:5,000 – R:200. Mexico City was one of the tightest battles this series with the Resistance’s 90 points from Links Created becoming the deciding factor. The Enlightened started off strong in the first half of San Antonio winning a large share of the portals. In Measurement three, the Resistance fought back hard winning points on Links, Anchored Fields and a Covering Field but lost it all in the final measurement with only 54 points to 228 scored in M4. The final score for San Antonio was E:1,056 – R:736. And Finally, in Tucson, the Enlightened smashed the Resistance by scoring over 100 points in each category in each measurement until the Resistance managed to put up a Covering Field in the last measurement but even that was too little too late for them. The Enlightened won Tucson by 1,488 points. 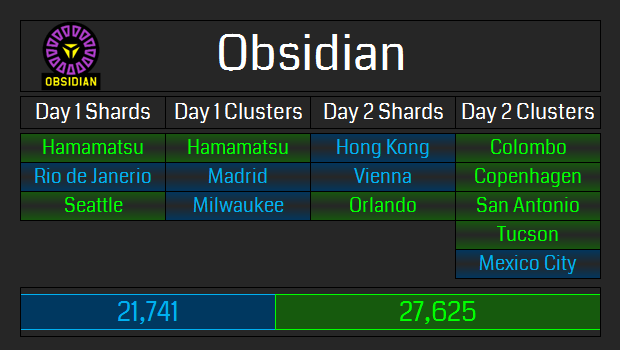 The total score for Day 2 of Obsidian was E: 11,853 – R: 11,734, only 119 points between the teams. 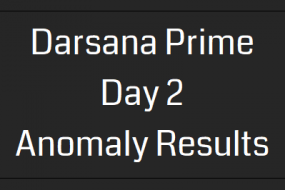 The total score for the Obsidian Series is E: 27,625 – R: 21,74 giving the Enlightened their very first anomaly series win since the 13Magnus series back in December, 2013.